Have you ever cooked in someone else’s kitchen? Opening and closing drawers looking for a spatula, walking around in circles trying to find the salt, and wondering where to put the garbage. It’s always in the last place you look. For a cook, there’s nothing as comfortable as cooking in your own kitchen. You have organized your kitchen in a manner that makes sense to you; your favorite tools are at your fingertips, and you can focus on your craft rather than your workspace. With CorelDRAW Graphics Suite X7, customizing your workspace to make it your own has never been easier. When I was putting together my cookbook, Criollo: A taste of Venezuela, in CorelDRAW I realized I was using certain tools and dockers frequently. So, customizing them to be readily available only made sense. However, during the year it took me to put the cookbook together, I was also working on other projects. One of the things I love the most about CorelDRAW Graphics Suite X7 is that creating and switching between customized workspaces is easy and fast. With the new customizable workspaces, I can create a workspace for a specific project or workflow, and switch between them effortlessly. It is like having a bakery for when you need to bake a cake, and a BBQ for when you need to flip some burgers, all with a simple click. For my cookbook I created a workspace called “Fernando’s Book Making Workspace”. I go to Window > Workspace > New and I create a new workspace based on default. I customized it to the tools, dockers and layout that worked the best for my project. I have other workspaces for different projects, such as “Painting” in PHOTO-PAINT for when I feel artistic, and “Making Websites” for when I need to put together a site for the web. My goal when customizing “Fernando’s Book Making Workspace” was to remove as much clutter from the mid-section of the app as possible. I had my book on facing pages, so I had lots of room at the top and bottom of the app, but I wanted my document to take up the entire middle. After I had the template for my book pages all set up, I only needed a small number of features such as text and page layout controls. The new quick customize buttons on the toolbars and dockers are the fastest way to customize the workspace. I just check the tools, dockers and controls I want to see from the (+) flyout and uncheck everything I want to hide. 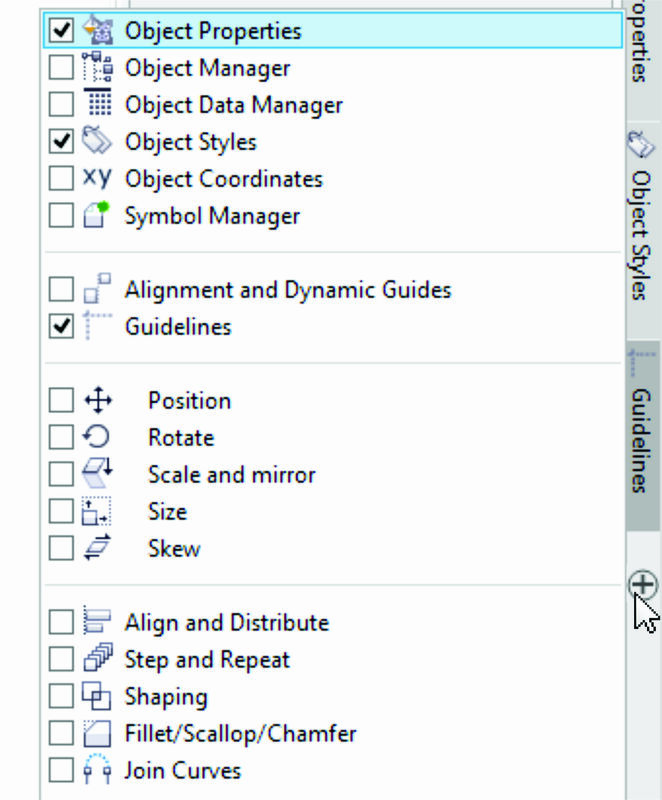 I open the Object Manager, Object Styles and Guidelines dockers, and then collapse them to the right so they are accessible but out of the way. Cookbooks have lots of photos, which are nice to look at but can inflate the file size quite a bit. For this reason I mostly used externally linked bitmaps from my OneDrive folder. I attach the Links and Bookmark docker at the bottom of the app for easy access to my pictures. A gray box appears to show me how the docker is going to look once attached to the bottom of the workspace. As for the toolbox, I really didn’t want much there. I choose the Pick tool, Text tool and Rectangle tool then hide everything else. I unlock the toolbars so I can move them around, and attach the (now tiny) toolbox at the top, to the left of the property bar. Last, I use the Page Sorter view mode often to navigate the book pages. I decide I would like a quick access button right on my toolbox instead of having to find it on the View menu every time. For this I use a neat little trick: I hold down CTRL+ALT and go to the item I want (View menu > Page Sorter view) and I just drag it to the toolbox. This creates a shortcut on my workspace. That’s it! I’ve created my own book-making workspace. It is listed on the welcome screen so I can switch between workspaces quickly whenever I launch the app. 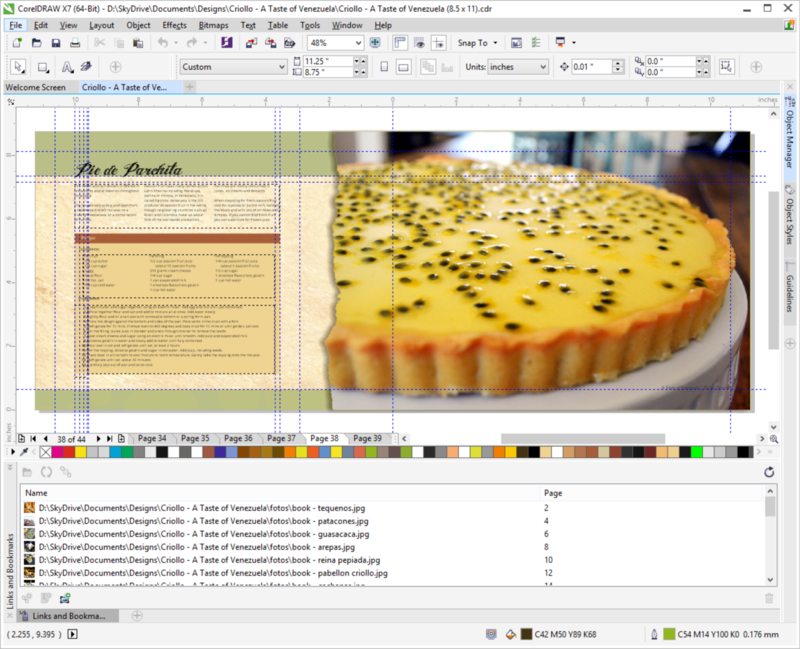 Thanks to CorelDRAW Graphics Suite X7, I always feel like I’m cooking on my very own gourmet kitchen. Learn more about Criollo: A taste of Venezuela at www.criollocookbook.com. All profits from the cookbook benefit Casa de Maria children’s charity in El Tigre, Venezuela. 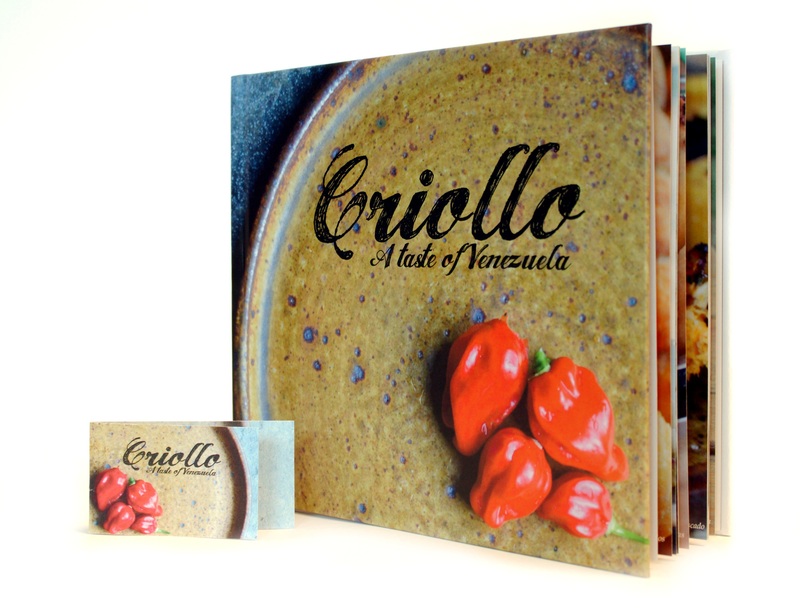 Want to win a copy of Criollo: A taste of Venezuela? In the comments below, tell us your favorite new feature of CorelDRAW Graphics Suite X7 and you will automatically be entered into a draw to a win free copy! L. Fernando González was born in Ciudad Bolivar, Venezuela in 1983. He grew up in the coastal city of Puerto La Cruz before moving to Canada at the age of 17, where he currently lives with his husband Adam and two chocolate labs. He combined his love of cooking with his passion for design and photography in this project to raise funds for a charitable organization in his home town. Criollo: A taste of Venezuela is a small collection of home and street recipes, folk tales and traditions of Venezuelan cuisine.For more information about the book and cause visit www.CriolloCookbook.com. This entry was posted in Graphic design and tagged Cook book, CorelDRAW, CorelDRAW Graphics Suite X7, graphic design, User Interface, Workspace. Bookmark the permalink. One thing I didn’t like about X7 is not being able to expand the color docker…. the only way I could expand it to make it show all colors is to pull it out …. it I place it back to the side it will be shrink back to show some colors and not all …… you will have to click and scroll to see all the colors !!!! Why ?? I don’t know … Maybe looks is more important in X7 than productivity…. Hope they remove this restriction in the next update. plz help in x7 option order>in front of not working.